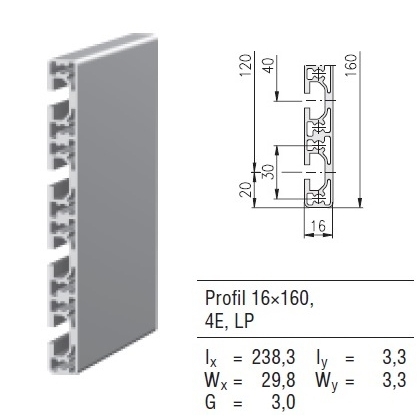 MayTec Profile 16x160 4E, LP (light) | DamenCNC B.V. 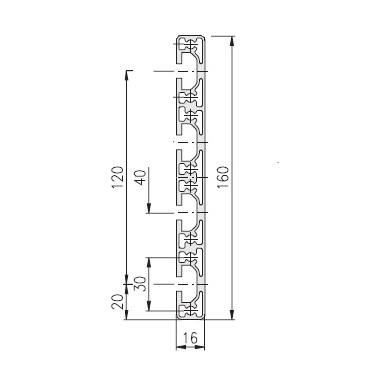 This profile is often used to make T-slot tables on CNC machines. For example on the Haase AL series, this profile is used. Do keep in mind, that a profile like this will never be 100% flat. The T-tables that do have this level of flatness are CNC machined and much more expensive.